Great Western Colorado Lodge is located by the 14,000-foot high Peaks of the Rocky mountains. Surrounded by three mountain ranges, Sangre de Cristo from South, Mosquito Range from the North and Collegiate Peaks. Salida experiences mild climate for creating ideal year-round outdoor recreation. Our location is right next to the Salida Hot Springs Pool, park, and restaurants. We are within 0.5 miles to the golf course, Historic Downtown Salida, art galleries, great shopping, and the Arkansas River which easily accommodate you to enjoy the attractions around Salida. 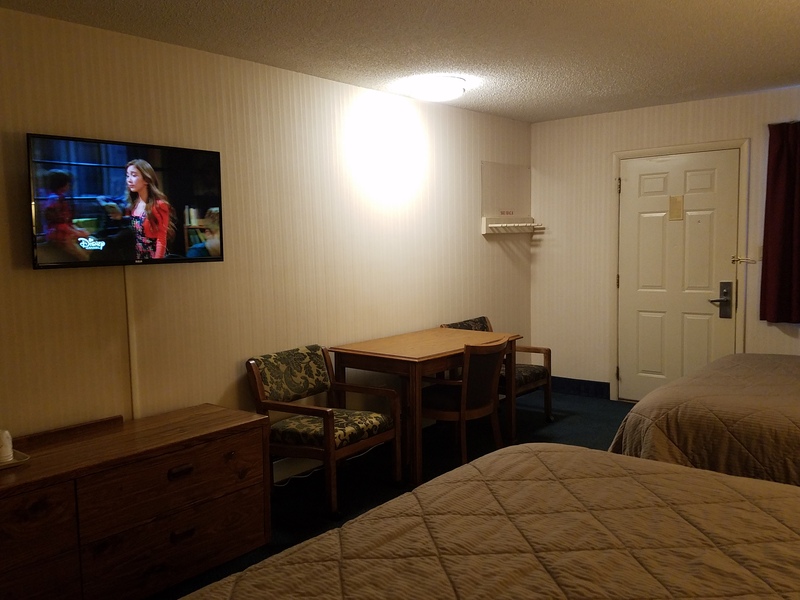 We offer you the nicest and cleanest motel or hotel lodging accommodations at affordable rates as you travel through Salida, Colorado. Activities : The Colorado mountain town of Salida sits in the middle of the state, literally in the "Heart of the Rockies," about 2 hours from Colorado Springs and 3 hours from Denver. Our town is a welcoming Western retreat for everyone, from the solo outdoors adventure seeker to couples yearning for a romantic escape or families who wish to ‘Play and Stay' in the glorious Rocky Mountains. Airport : Harriet Alexander Field Airport is owned jointly by the City of Salida and Chaffee County. The airport is located at 9255 CR 140 Salida, CO 81201. Attractions : The Chaffee County would be the richest little county in the country. Fifteen of Colorado's 54 highest peaks, those taller than 14,000 feet - aka Fourteeners - reside here in south central Colorado. Casinos : When you're looking for the best casinos in Cripple Creek, look no further than main street. The Midnight Rose Hotel & Casino is home to one of the most well-appointed gaming rooms in Cripple Creek. It features Victorian era surroundings with two floors of over 300 of the newest, hottest slot machines plus your favorites. Dining : Winner of the 2013 Nature's Plate Award from the Nature Conservancy! The Market offers foods from Colorado -- pasture-raised beef, pork, yak and chicken; seasonal vegetables ranging from juicy fruits in the fall to beautiful organic vegetables in the summer; and of course, Colorado-based milk and cheese products. Handcrafted, from-scratch deli serves soups, sandwiches, main dishes, sides and desserts. All deli foods are made fresh daily from ingredients in the Market. Tasting Room has all-Colorado cider and wines. Golf : The Collegiate Peaks Golf Course pro shop has an excellent selection of equipment and clothing including: Ping clubs, Titleist & Bridgestone balls, towels, shirts, sunglasses, visors, hats, gloves, carts bags, tees, sunscreen, and more. We stock all current demos from Ping and have a “Try it/Like it” program where you can try the clubs out and if you like them Larry can custom fit the clubs to the golfers' length and lie, etc. at no additional charge! Ping is the leading club manufacturer in the country for the typical golfer. They specialize in the best game improvement equipment. Government :Contact the Recreation Department. Arborist License Professional arborists are required to obtain a license from the City and file evidence of insurance. Contact the Deputy City Clerk. §7-7-70 Audit Colorado municipalities are required to undergo a financial audit each year. Past audits are available in the document library. Hospitals : HRRMC is a community hospital in the deepest sense of the phrase. We welcome babies, save lives, and constantly seek ways to improve the quality of patient care. Our state-of-the-art facility may be new, but our mission for over 125 years has remained the same: to provide personalized and exceptional care close to home. Shopping :Salida Gunshop's goal is to be your premier Class 3 firearm dealer. We are proud to offer a full-service shop; buy, sell, trade, or even consign your personal firearms, anything to accommodate our customer's needs. If you are having trouble finding a certain firearm, let us do the looking for you, hard-to-find special orders are a specialty of ours! University :The CMC Centers in Buena Vista and Salida provide Associate of Arts and Associate of Science degrees, the first two years of a bachelor's degree in Liberal Arts, Science, Business and Accounting, as well as many occupational certificates, computer and community-oriented special interest courses. Online courses are also available.